Please join us for today’s service at 10:30 a.m. led by Rev. Paul Dodenhoff. The Buddha lived and taught almost 500 years before Jesus of Nazareth. However, many of their teachings seem to touch on the same spiritual truths. 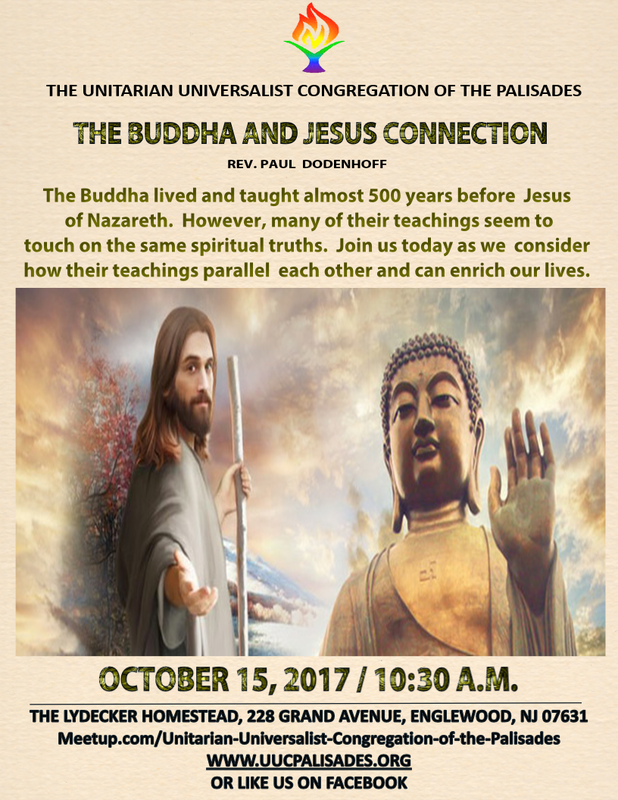 Join us today as we consider how their teachings parallel each other and can enrich our lives.